When I think of autumn, Thanksgiving, and the holidays I think of cinnamon. Who doesn't love the aroma of cinnamon wafting through the air? 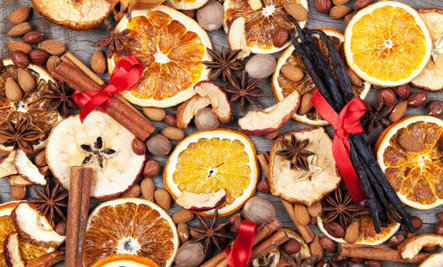 The real deal, that is, not the fake "holiday spice," chemical-laden fragrances on the market. Real cinnamon is one of my favorite festive flavors but it is much more than just a versatile spice. It’s from the polyphenols. The more polyphenols that you consume and get into the body, the more you activate AMP kinase that controls your metabolism. The most water-soluble polyphenols (and therefore having the greatest possibility of getting into the body) are purified extracts of the maqui berry.